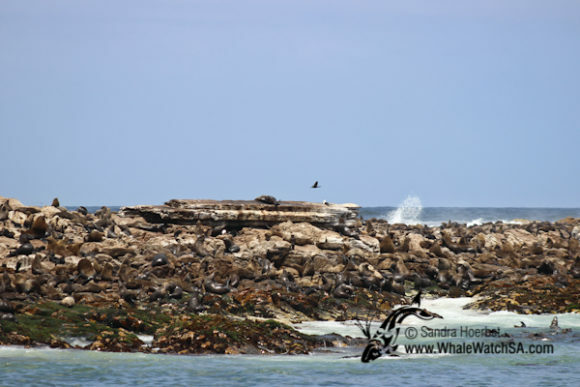 Once again our first sighting for today was a African penguin, how lucky. 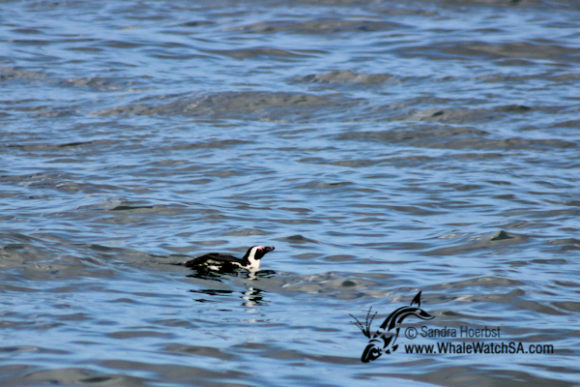 Once again our first sighting for today was a African penguin, how lucky. 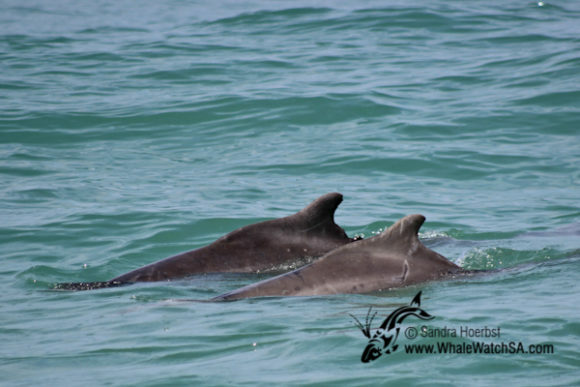 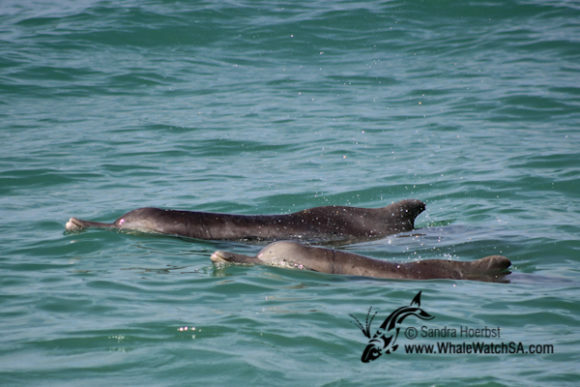 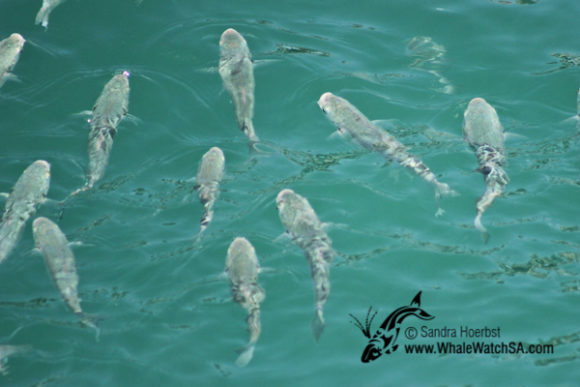 After a nice close up look at the penguins we moved further into the bay, were we found a small pod of our Humpback dolphins. 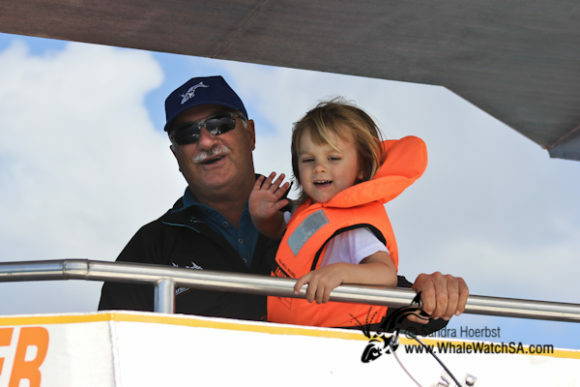 We encountered ‘Captain Hook’ and her calf ‘BigZ’ as well #14 and her calf. 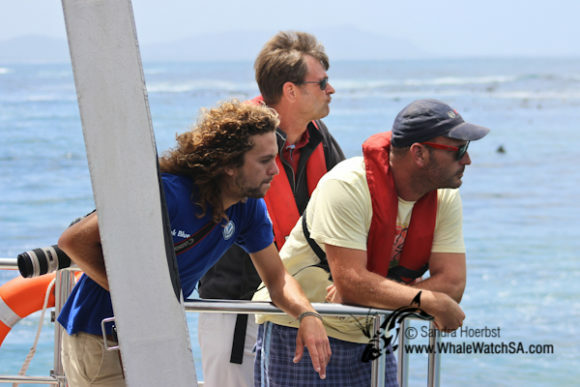 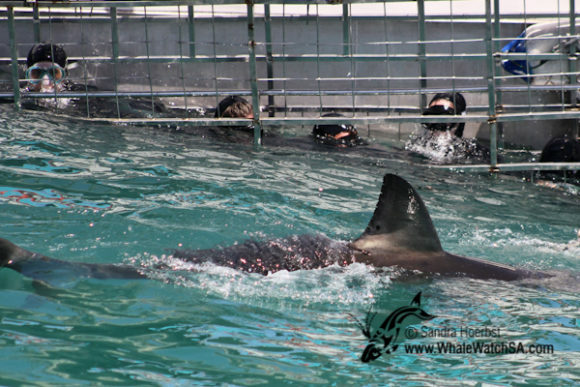 After spending some time with the dolphins we headed to our sister company Marine Dynamics, to see some Great White shark activity. 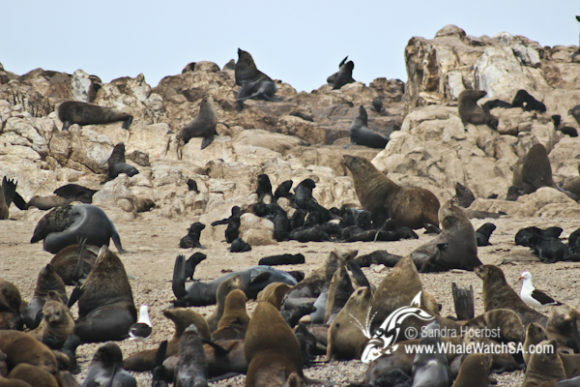 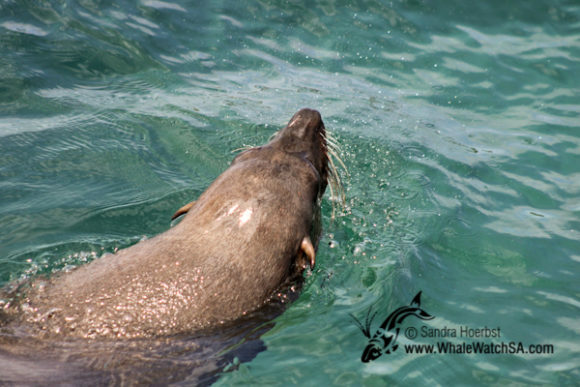 We also had a closer look at the Cape Fur seal colony on Geyser Rock and we can see more and more pups on the Island.